Professional Design Services - Call Us Today! Blue Designs, llc specializes in residential interior design services with an emphasis on home remodeling and new construction. From chefs' kitchens to master suites, great rooms to outdoor spaces, our design team will assist you in the selection of cabinets, fixtures, furniture, window treatments, lighting, flooring, and more, helping you to transform your living space. Designing a home is a very personal experience, and we take our role as design guide, counselor and partner seriously. Personalized service to us means more than just advising our clients on their material choices. We take the time to discover their own unique style, goals for their space, and design challenges they face. By having this common ground with our clients, we are able to create that 'wow' space and home for you. 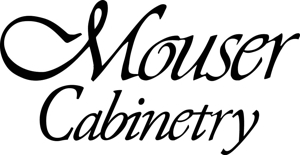 We Are Your local Mouser Cabinetry Dealer. Since 2006, Blue Designs, llc has been providing interior designing services to Bexley, Westerville, Powell, Dublin, Upper Arlington, Downtown Columbus, Clintonville, Grandview, Hilliard and surrounding communities. Blue Designs, llc is owned and operated by Rhonda Blue, ASID, NCIDQ. Rhonda has been in and around the business for 20+ years. She has a Bachelor of Science degree from Purdue University in Environmental Design. She has extensive experience in and around the construction field, providing her with great insight on behalf of her clients' projects, large or small. We enjoy the details! We specialize in residential design with an emphasis on remodeling and new construction. We enjoy all the details including kitchen and bath cabinetry, finishes and furnishings, lighting, flooring, window treatments, plan review, and architectural details such as trim, fireplaces, and stair railing designs.